Yesterday, I learned the sad news that Harry Hinson died last week. Although I can't claim a close relationship to Harry, we were pen pals for a number of years. Harry often emailed me in response to my blog posts, especially those which pertained to the New York design scene of the last four decades. Harry was always able to relay connections and back stories because he had borne witness to what many consider the golden age of American design. Actually, Harry was much more than a witness. 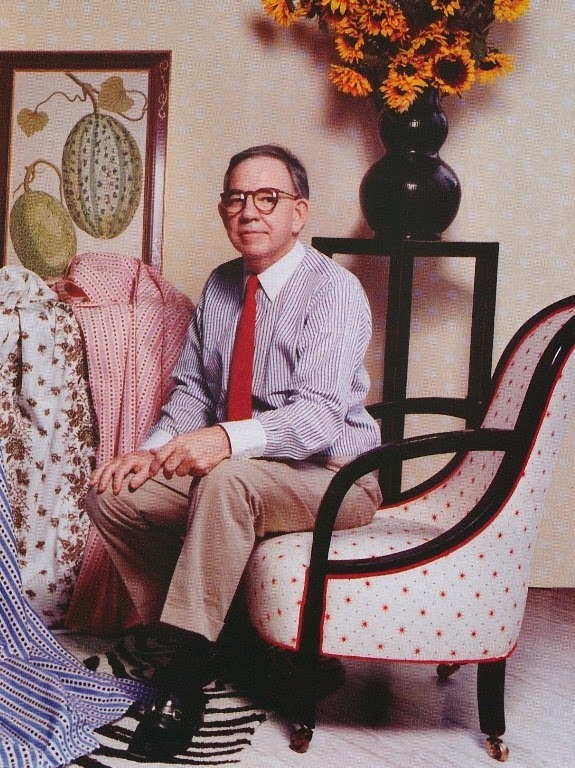 He was a key figure in American design, and I don't think it's a stretch to say that he, along with Albert Hadley, Van Day Truex, Billy Baldwin, and a few others, helped to define what we today call classic American design. 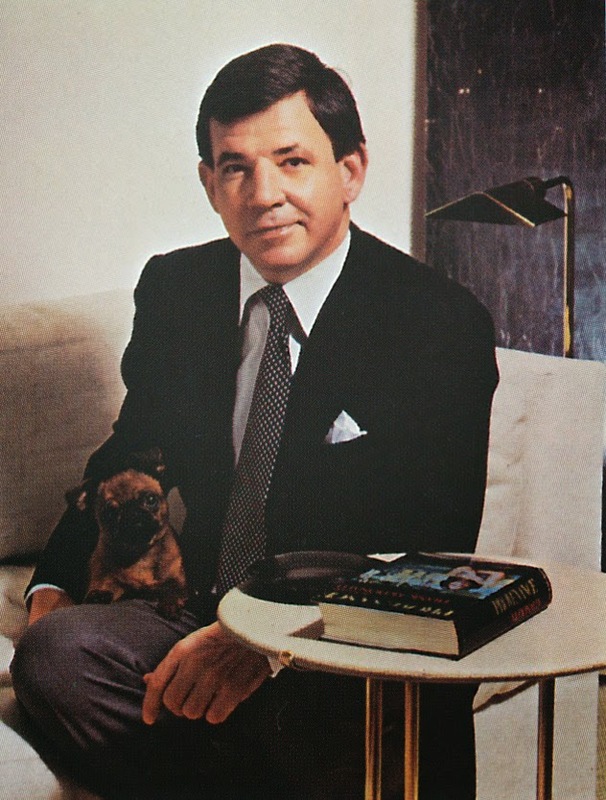 Harry, a native of North Carolina who thankfully never lost his Southern accent, moved to New York in the early 1960s, working as a designer first at Bloomingdale's and later with Bonwit Teller. 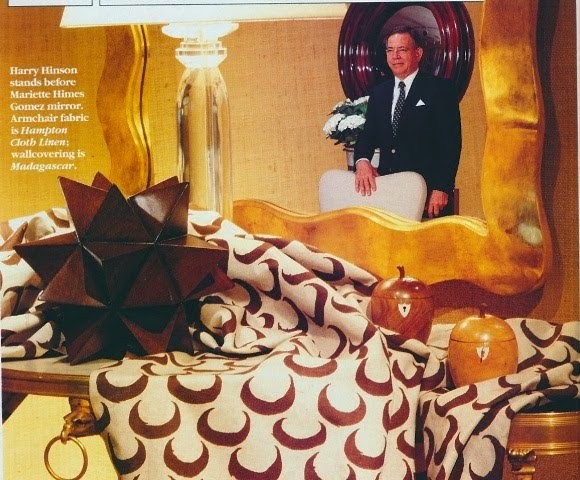 In 1972, Harry founded Hinson & Company, his eponymous fabric and wallcovering line which is still highly-regarded today. Of all of the fabric lines that I admire (and there are many,) it is Hinson that is probably the dearest to me. The Hinson "look"- classic yet modern, tailored, never trying too hard, and thoroughly American- most closely aligns with my aesthetic. And if another reason is needed to explain my love of Hinson & Company, let's look no further than the year of Hinson's founding, which also happens to be my birth year. That can't be a mere coincidence, can it? For all of Harry's talent as a businessman, it was his skill as a designer that I find even more remarkable. 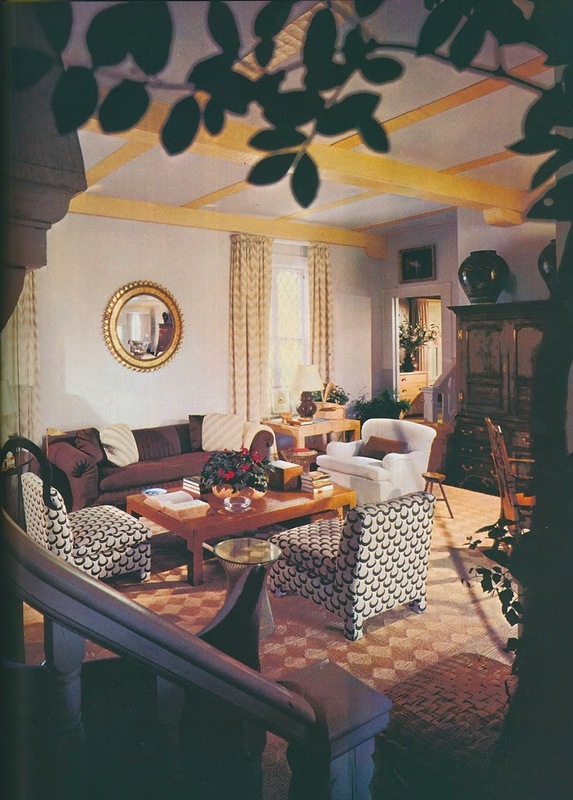 Harry had a knack for taking a traditional design element or motif and making it modern. In fact, if you have ever wondered how something can be both traditional and modern at the same time, simply take a look at a Hinson print, such as Spatter, and you'll see how. Many of those wonderful Hinson prints, what I consider to be the hallmark of the Hinson look, possess historical pedigrees. And yet, under Harry's tutelage, these prints shed any old-fashioned sentiment and became thoroughly up to date. What I have been trying to do over the last eight years with my blog and, more recently, with my book- namely, championing classic design elements as worthy partners to contemporary decor- is more or less what Harry did with his Hinson fabrics and wallpapers. This, perhaps more than anything else, explains the kinship that I feel with both Harry and Hinson & Company. 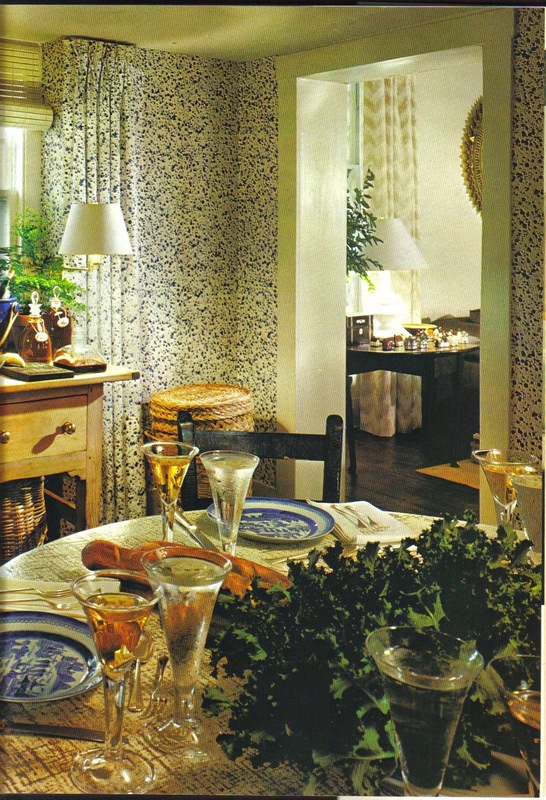 In a 1981 Architectural Digest interview, Harry said that what he hoped to contribute to design were "honest uses, simple approaches, comfort; integrating style with technology. And an understanding that designs must adapt to the way we live." Thirty-three years later, and I think it is evident that Harry did just what he set out to do. Although it's tempting to write that Harry's death will leave a void in the design world, I don't think that is entirely true. We may no longer have this talented man with us, but we still have his body of work. And that body of work will continue to remain an influence on American design for decades to come. Harry in a photograph taken in 1981. Harry's living room in his East Hampton house. Merlin fabric by Hinson & Company was used to cover the two slipper chairs. A photo of Harry, taken sometime during the 1990s, with his Merlin fabric in the foreground. Spatter on the walls and windows of Harry's East Hampton home. So very sorry to hear this. Harry is the one who should have written a book on the insides of New York City design in the 60's-- 90's. He knew it all! Will, So true. He will be missed. Thank you for identifying the man behind the name which I'd always thought of as merely a company. I've always loved his famous spatter fabric which led to a misguided but somewhat successful and very therapeutic experiment with paint on a bookshelf! Are you able to tell me if that's kale used as the dining table centrepiece? Those handsome flutes appear antique- if not, does anyone know who reproduces them? Thank you! Anon- The centerpiece does appear to be some kind of kale or cabbage. My guess, like yours, is that the flutes are antique. Not sure if I have seen anything similar to them. A true star in our world! He really had an artists eye for fabric design...chic yet a bit on the edge! Karena, He was indeed creative and artistic, too. Dean, It was indeed sad news. Hope you are well. I'm really sorry to learn this news, but you're post is lovely. Spatter and Merlin have been two of my favorite fabrics for a long time, too. Harry is a great loss, but he's left a great legacy in the lines he developed...and the lines of others' he nurtured. Newell, Absolutely, he left behind a great legacy that won't soon be forgotten. What a beautiful tribute to a true talent! I worked for Mr. Hinson from 1976 to 1979 and the lessons I learned from him so many years ago still inform my sensibility. I was very sorry to hear this news. Sandra, How lucky you were to have worked for him. He obviously thought highly of you!